If the Bible was a puzzle, many of us have several pieces grouped together, but what we lack is our frame completed. Or you might be young in the faith, and you want to see the Big Picture of the Bible. 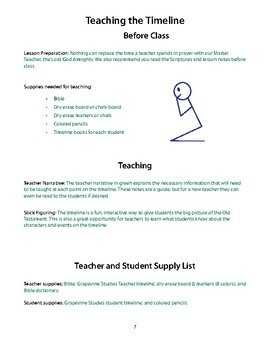 Maybe you have your frame mostly in place, but you want to teach the Bible timeline to your children or students. 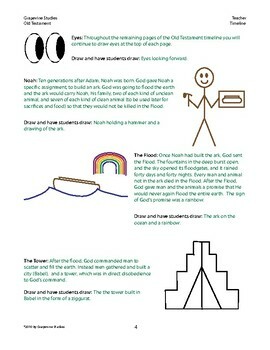 The Old Testament Timeline Notes is just the tool you need! 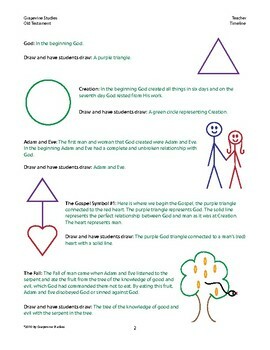 Using stick figures, words, symbols, and colors, you will lay out for your students the major characters and events of the Old Testament in a memorable way. You will help them to see where the Bible story pieces fit into biblical history. 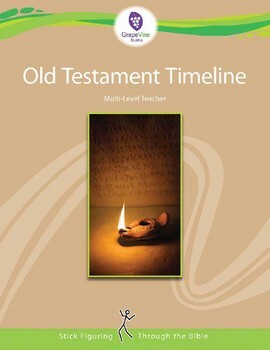 The Old Testament Timeline Notes is something every believer should know because it gives context to characters and events of the Bible. When a child understands the timeline of the Bible, they are better equipped to understand passages and apply them to their lives. Get your biblical framework in place today! Order now!